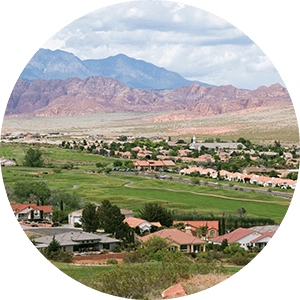 Bloomington Hills is a large area subdivision located in St. George, Utah. Often confused with the Bloomington community, which sits on the outside of central St. George, Bloomington Hills runs through much of the eastern part of the city. Bloomington Hills is divided from Bloomington by the Virgin River. 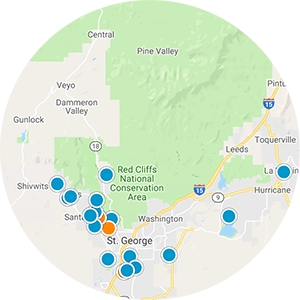 Bloomington Hills is home to thousands of residents in St. George, and continues to grow with new development, new schools, churches and businesses. 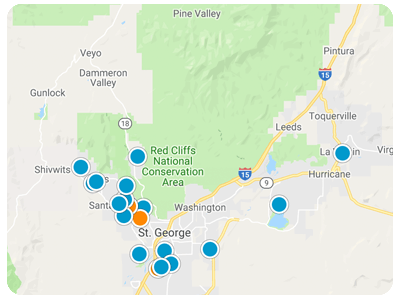 However, the area is landlocked by the surrounding developments in St. George and the Virgin River, which makes new construction of homes less so than compared with other community developments in Washington County. 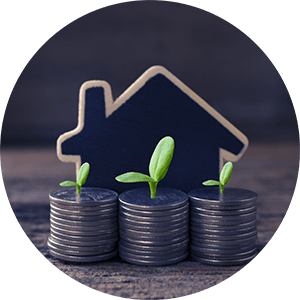 Bloomington Hills growing population contributes to the fast-growing St. George Metropolitan Area, which is current the fastest growing in the United States. A drive through Bloomington Hills can provide travelers with access to the Mojave Desert and the St. George Regional Airport via the Southern Parkway.